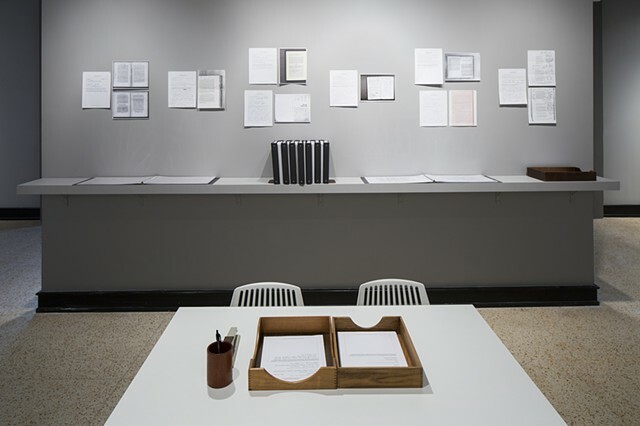 On table and wall-mounted shelf: binders with participant forms and contributions, office supplies, and in box for viewers to leave contributions during the course of the exhibition. On wall: participant contributions. Installation view at the Gustein Gallery, SCAD.